Hey there! Tonight’s episode started out with Ramona getting photos taken of herself and her dog, Coco, for a calendar for Avery to take to college with her! Sonja ended up joining Ramona. The two sat down with some drinks and discussed some financial problems that Sonja is going through. According to Ramona, it’s Sonja’s roughest time. Poor Sonja! We then got to go to the doctor’s office with Heather and her family! Poor Jack! He is beginning to lose his hearing. He was getting an hearing test and he was struggling. I feel so bad for Heather and her family! We learned Jack was born with a chronic liver disease. I just want to hug Heather. Next, Aviva and Kristen went on a play date with their children at some children’s play place. The two were discussing some drama and Kristen began to make fun of Ramona’s eyes with a squishy toy. Apparently, that made Aviva uncomfortable. Oh please! Kristen began to tell Aviva that she was tired of all the drama and Aviva told her that if she didn’t want to get involved then to “Shut the f#@k up!” Kristen was baffled. She quickly fired back at Aviva telling her to not speak that way in front of her kids. She then asked an employee of the rich kid play place to take the children away. Kristen began to tell Aviva that she gets too tempered. Aviva agreed and then assumed that she brings drama wherever she goes. Obviously she was being sarcastic and vindictive. Heather and family went off to the Hamptons for some 4th of July fun! Miss Carole joined in on the festivities! Oh how I love these two! (Yes, I’m playing favorites) The two ladies talked and Carole keeps bringing up this book thing and Heather is basically getting tired of it. Then, Heather discussed a medical condition Jack has involving his bones and how she’s getting the results of them back. If not good, it’s more medical madness. She began to cry and it was just sad to watch. Then, we got to see Ramona and Mario go play some tennis with LuAnn her French man, Jacques. Ramona started to get extra competitive and mad at Mario. Get your sh!t together Mario! Kristen and Josh then joined the two for some tennis “fun.” Oh my! Kristen arrived in track shoes and not tennis shoes! God forbid… I wear track shoes when I play tennis! Who cares? Anyhow, the couples played that game elderly people enjoy to play that’s similar to shuffle board, but with balls. Ramona and Kristen then began to talk, which lead to them fighting about Ramona and Sonja not showing up to Heather’s anniversary party. Ramona got so offended. She then said something in her DR about how Kristen just sits there and stays quiet and now she decides to speak. Oh Ramona, shush! We then went back to Heather while she received a call from the doctor regarding the results for Jack. I’m not quite sure what they were talking about, but it seemed to be good news so yay! Ramona decided to throw a little party in the Hamptons and invited the ladies. Kristen was there and Ramona pulled her to the side at the party. I guess the fight they had earlier wasn’t good enough. Ramona told her she was really pissed at her and then the two yelled and “settled” things. Then Ramona told Kristen to stay out of her business and Kristen fired back the same remark. Heather then showed up with Carole and then Heather went to go speak to Ramona. Heather instantly brought up Ramona not showing up to her anniversary party after RSVPing. Ramona made an excuse about how she tried to let Heather know, but something about phones. BLAH. BLAH. LIES. LIES. Then she called Heather hypocritical. Next, Ramona and Sonja talked and somehow the cabaret/burlesque event Sonja did came up and Ramona told Sonja that she heard it was raunchy. Ramona started to insult Sonja and then began to assume that Sonja is just trying to venture off with too many things due to her financial issues. Sonja got upset with Ramona and then began to defend herself, saying she’s trying to keep everything together while being a single mother and going through a settlement. Sonja then said, “You can’t handle a day in my life Singer.” Best quote ever. Damn! Ramona is just going down the line, isn’t she? First Kristen, then Heather and now her own friend, Sonja. Ugh go back to Africa. The drama didn’t stop there. LuAnn and Sonja then fought because LuAnn spoke badly of Sonja’s performance, while Sonja and Ramona fought. Sonja told LuAnn that she should know how rude she was since she is a performer herself. HAPPY 4TH OF JULY! Finally, the 4th of July festivities close with a party on the beach! All the ladies attended the fancy party. Sonja seemed to ignore Ramona. By the way, they had lobster and it looked amazing. Talk about a food-gasm in your mouth! Carole was talking to Mario when Aviva came in to take her away. The ladies wanted Aviva to talk to her. Carole grabbed Mario’s arm desperately. LOL. Eventually the two walked away from the party and found a place to sit on the beach to talk. Carole started to get loud, defending her reputation regarding book gate, once again! Everyone began to notice the two ladies getting heated and Heather went to go intervene. She suggested starting from the beginning where Aviva was a fan of Carole. Carole was not having it, she was livid. I don’t think she can get past this because the damage was done. Then the two simmered down a bit and Aviva said she read Carole’s widow dating advice book, which Carole got really pissed about because I’m assuming it wasn’t out yet. She questioned how she read it and Aviva said she knew people. Carole then sarcastically asked Aviva if she congratulated her ghost writer. On that note, tonight’s episode came to an end. Thanks for reading tonight’s recap of the RHONY! Leave comments and tell me what you think! Don’t forget to check out my blog recaps for the Real Housewives of Orange County HERE! Also, check out Eric’s hilarious audio blogs and Jon’s short comedic vlogs HERE! They’re great! 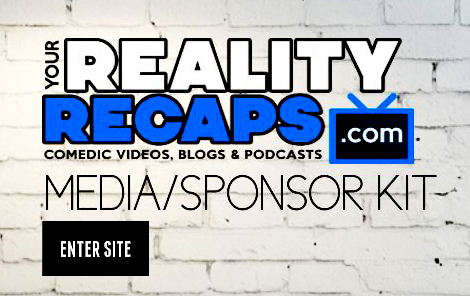 And if you really love all things Your Reality Recaps support us HERE! Previous ArticleRHOC – Season 9 EP2 – Bravo Housewives Audio Blogs! Next Article RHONY – Season 6 EP7 – Bravo Housewives Audio Blogs! Zach is native to South Jersey and is currently attending high school as a junior. Yikes! HSPAs, SATs, and ACTs, oh my! Zach's addiction for reality television isn't so much as an obsession to him, rather a lifestyle. On the other hand, his admiration for all things cats is certainly an obsession. Aspiring to be a future health care professional, when Zach isn't watching T.V. he is bombarded with school work and sports! He plays for his school's tennis team! If there is any free time left in his schedule, then Zach embarks in such activities like, sleeping, photography, and spending time with friends and family! Some of Zach's favorite reality T.V. shows include: Big Brother, Amazing Race, KUWTK, Face Off and Bravo's Real Housewives. He can also be seen watching other T.V. shows like Grey's Anatomy and the Netflix original, Orange is the New Black. Zach is eager to provide reality T.V. addicts, like himself, entertaining recaps for the Real Housewives of New York and hopefully more! RHONY DRAMA! Ramona & Mario Singer split…again!